Held together with magnets, the innovative assembly allows for easy arrangement and versatility – and thanks to an in-built stand, the frame can be displayed both horizontally and vertically on a tabletop or easily mounted on a wall. The bold lines of the frame exude precision and restraint for picture perfect decoration. 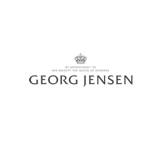 Minimal and elegant picture frames from Georg Jensen let your most cherished photos speak for themselves. Silver frames add a touch of class to your desk, shelf or mantlepiece. A beautiful and substantial Italian Modern style Lucite octagonal picture frame. Marked made in Italy (see image #10.) Measurements include: 7.5 x 7.5 x 1.75 inches thick.